If you've decided you want to finance your new Aluma Trailer, Bad Boy, Bennche, Bunkhouse, Carry-On Trailer, E-Z Hauler, Finish-Line Trailer, Gulf Stream, Hannigan Trikes, Honda, Honda Power, KTM, Lighting Trailer, Livin Lite, Mission Trailers, Roadsmith Trikes, Star Motorcycles, Yamaha, Yamaha Golf Car, or Yamaha Power, you're not alone. Seventy percent of enthusiasts do. With a minimum down payment and approved credit, you can arrange credit financing with us and get out on the road a few hours after picking out your ATV, dirt bike, golf cart, lawn mower, motorcycle, power equipment, scooter, side x side, snowmobile, trailer, trike or toy hauler. And because we finance more ATVs, dirt bikes, golf carts, lawn mowers, motorcycles, power equipment, scooters, side x side, snowmobiles, trailers, trikes and toy haulers than anyone else, we understand your special needs. Only someone who knows how you feel when you hit the starter button understands that hitting the road ASAP is your biggest concern. That's why we make it easy. 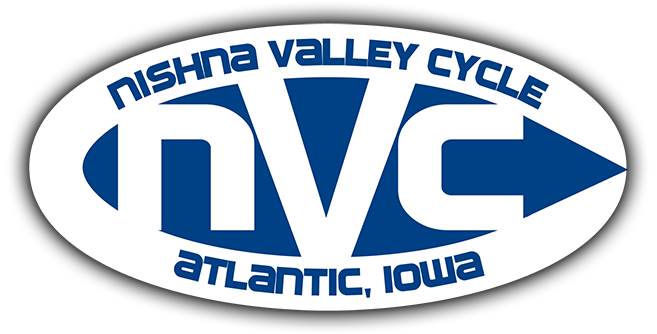 Talk to Nishna Valley Cycle about financing your ATV, dirt bike, golf cart, lawn mower, motorcycle, power equipment, scooter, side x side, snowmobile, trailer, trike or toy hauler with credit, and get out on the road today.